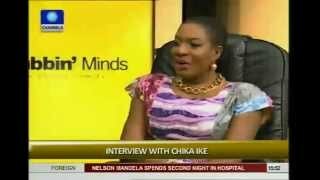 Get personal with Nollywood screen diva Chika Ike who defied all odds when she stepped into the studio of Channels TV's with her natural hair for an interview on Rubbin' Minds. Something many Nollywood actress would never do without their plaguing brazilian hair from another woman's head. Thumbs up to Chika Ike for standing out! The gorgeous Chika Ike talked about alot of things during the interview from lifestyle to her views as an actress, her foundation and so much more. Chika is no doubt, one of the best in Nollywood. She made our list of Top 20 Nollywood Actresses that Interprets Roles the Best. 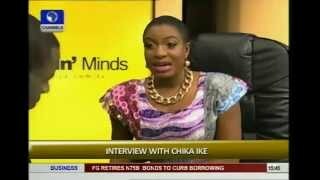 Hope you enjoy the Chika Ike interview on Rubbin Minds. Many other Nollywood interviews are showcased on Nigeria's Movie Network.